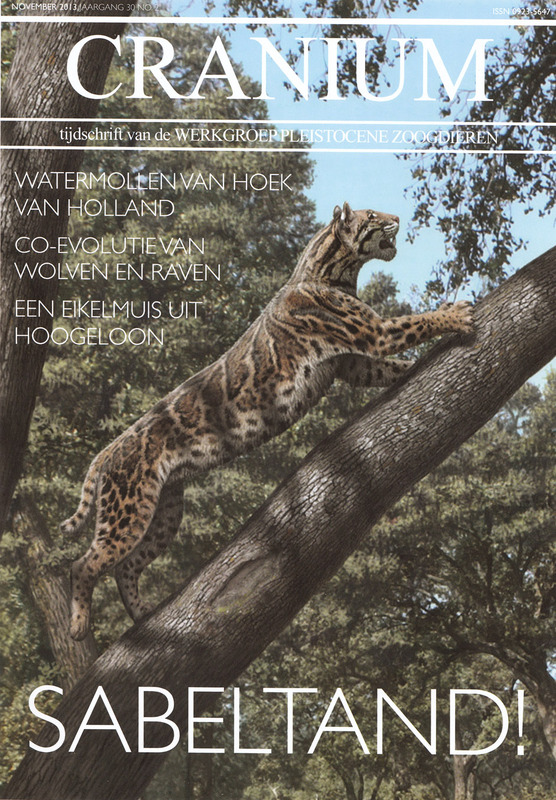 Last summer, the editor of Dutch paleontological magazine “Cranium” approached me to ask if I would prepare an article about my reconstruction procedures to be published about the same date as the launch of the book “Sabertooth”. I grabbed that opportunity to provide a more informal, first-hand account of my experience with my favourite extinct creatures of all time. I wanted to make this a honest account, and this means that, besides recounting the more exciting and satisfying discoveries and efforts, I also must tell of some early failures and frustrations, which I am sure will feel familiar to many paleoartists out there. After all, this is a speciality where there is no such thing as a full formal training, and each of us has to somehow “re-invent the wheel” as we develop our abilities and fill our tool box -one tool at a time. The new exhibit “The Cradle of Humankind” comes with 2 companion books. One of them, titled like the exhibit, is a bilingual, 2-volume set with contributions from some of the greatest names in paleoanthropology from Emiliano Aguirre to Donald Johanson. 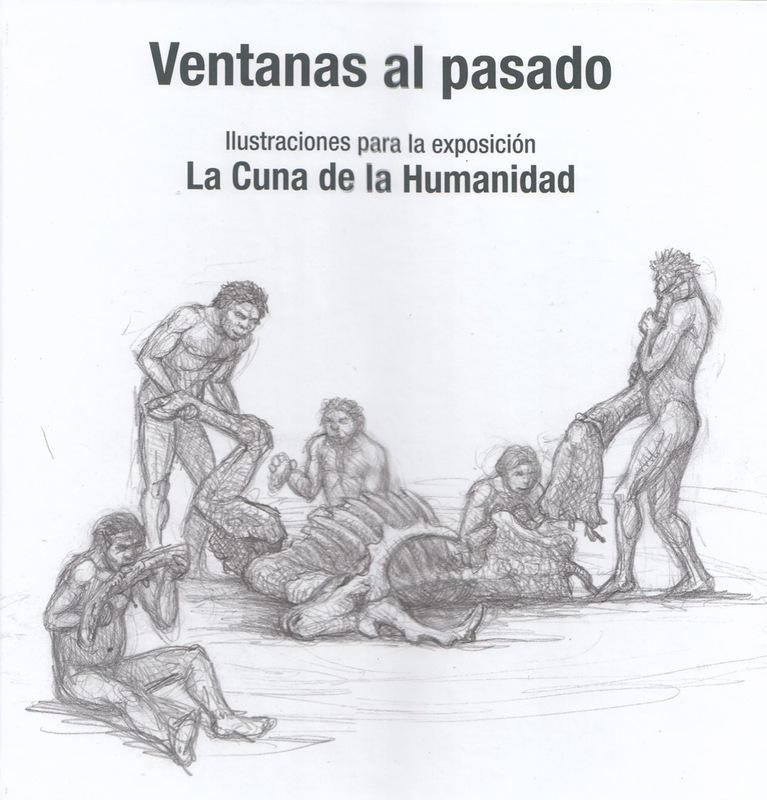 The other is a thinner book entitled “Ventanas al pasado” (“Windows into the Past”), with my own texts explaining the process of creation of the illustrations I made for the exhibit. This is the first time I publish my preliminary sketches -and plenty of them -providing a close look at how paleart is made. For now the only way to get these volumes is to purchase them at the gift shop at the Museo Arqueológico Regional de Madrid in Alcalá de Henares. But stay tuned for information about other ways to order your copies. La nueva exposición “La Cuna de la Humanidad” viene con 2 publicaciones exclusivas. 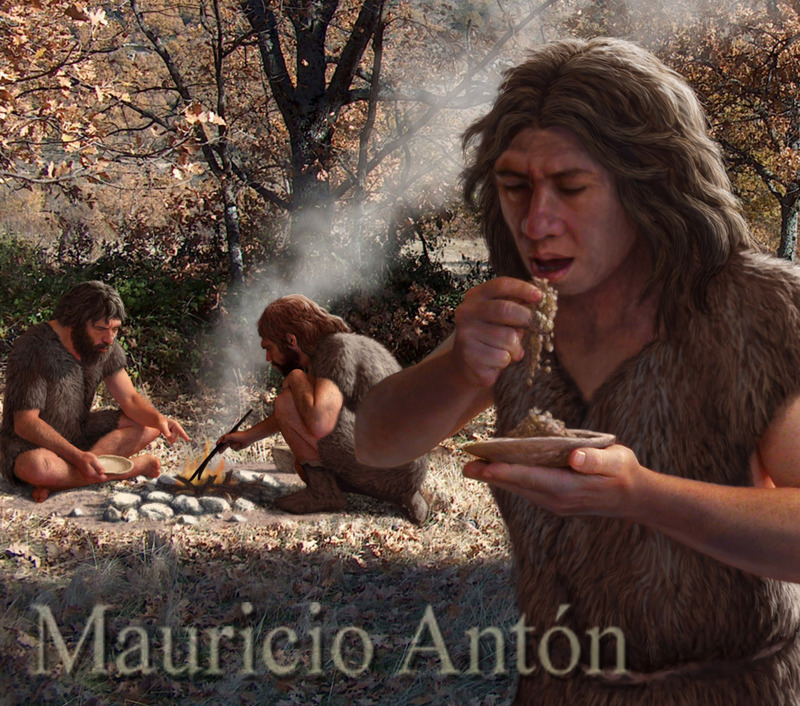 Una de ellas es un conjunto de dos volúmenes bilingües, lleva el mismo título que la exposición y contiene contribuciones de algunos de los nombres más destacados de la paleoantropología, desde Emiliano Aguirre hasta Donald Johanson. El otro es un libro más delgado titulado “Ventanas al Pasado”, con mis propios textos que explican el proceso de creación de las ilustraciones que realicé para esta exposición. Esta es la primera vez que publico una amplia colección de mis bocetos preliminares, ofreciendo una mirada íntima al modo en que se crea el paleoarte. Por ahora la única manera de adquirir estos libors es comprarlos en la tienda de recuerdos del museo Arqueológico Regional de Madrid en Alcalá de Henares. Pero oportunamente informaremos sobre otras modalidades para encargar vuestros ejemplares. 1.- Gather all the available information about existing fossil skulls of the animal, published or otherwise. This includes travelling to different museums to study the material first hand, since even the published fossils are often poorly figured (time: several years). 2.- Combine the best preserved parts of the different fossils in order to “Frankenstein” an ideal, perfect skull. Supplement the broken, crushed or missing parts of one skull with the intact portions of another, and draw the “ultimate” skull in several views (lateral, dorsal, ventral…) with loving attention to detail and measurement (time: several weeks). 3.- Scan those carefully drawn views, import them to a 3D modelling software and use them as templates to create a digital 3D model of the animal’s skull (time: several days). Once you have gotten there, you can rotate the skull in your screen and choose the angle more suitable for your next sabertooth portrait, render the object and use that render as a template for your drawing of the living animal’s head. There is so much more invloved in the process, but this particular part is for me one of the most important, since the head embodies so much of an animal’s “personality”. For a more lively explanation of the whole process, I suggest that you download our film “Bringing the Sabertooths Back to Life” (just follow this link: https://sellfy.com/p/vFjC/ ). Getting ever closer to know the sabertooths as living animals is every bit as fascinating as it is laborious. And of cousrse, having the “blueprint” is only just the point where the real fun begins! The last few months have been rush after rush for me, largely due to the need to complete a large collection of illustrations for the exhibition “The Cradle of Human Kind”. On monday, february 10th the exhibit finally opened to the public at the Museo Arqueológico Regional de Madrid, and now I can finally sit down (briefly), look back, and see what I can learn from the experience. One important aspect of this assignment was the combination of different techniques. On one extreme I did several relatively small scenes that depicted facets of hominid life (and death), and which were done in graphite pencil. That is probably the artistic medium where I feel most comfortable, so I thoroughly enjoyed myself doing those scenes. On the other extreme, I did four large murals that show the hominids, their environments and accompànying faunas. Some years ago, I would have painted such big scenes in oils. Facing a huge blank canvas and creating on it a scene from the distant past is an intense artistic experience, but now I have traded the grandeur of large scale oil painting for the convenience of the digital medium. I am not always very grateful for the change: working all day in front of the screen; trading the exercise and dynamism of steping back and forth (almost dancing) in front of a big canvas, for the finger-induced zoom-in and zoom-out of the image in the display, gives you a sense of being diminished. A long day of digital work leaves you stressed and somehow hunched. But let us look at the bright side, I could never possibly have done 4 big landscapes like these in the time available for this project if I had painted them in oils. And also the relationship with the curators and consultants becomes so much more fluid. With an oil painting, any changes that need to get incorporated after the sketch stage have an effect little short of catastrophic. With a multilayered digital painting, reasonable modifications are so much easier to incorporate. I really love the adavantages of working in layers for these complex scenes. To celebrate this, I have made a short video showing the main layers of one of the big illustrations I made for the exhibit, concretely the Laetoli scene. WARNING: This is a video for those who are NOT in a hurry! I purposely decided to combine the images with one of my slowest, most intimate compositions for piano. Sorry, I have hurried enough in the previous months, so now let us just relax and watch how each layer adds subtle or not so subtle details to the painting. Much, much more about the making of these illustrations is revealed in a book just published to accompany the exhibition. I will provide details about the book as soon as possible. 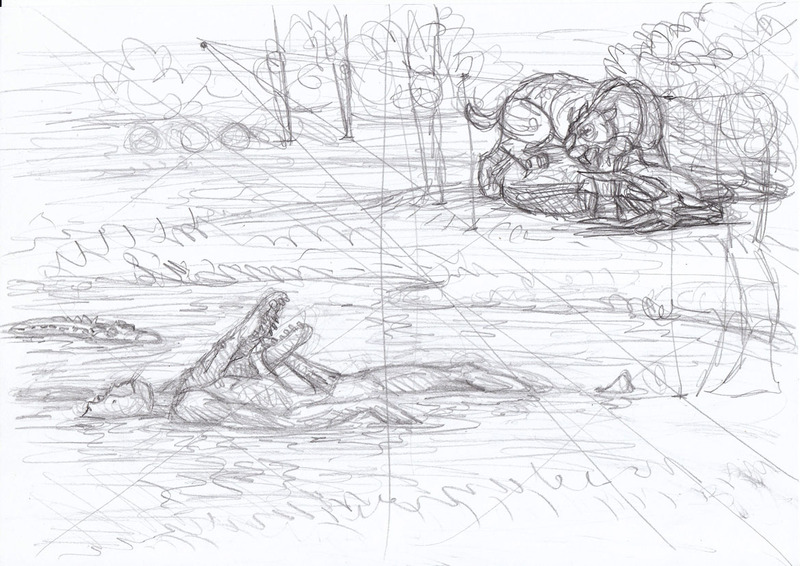 If you want to become a paleoartist, I will tell you something that most likely you had already realized anyway: you will have to learn much of your craft on your own. There are two main reasons why this is so: on one hand, although paleoart is always on demand, that demand is not so big in monetary terms, so there is little point in creating a stable system for the teaching of this speciality within scientific illustration; on the other hand, many paleoartists treat their techniques a bit like trade secrets, something which is perfectly understandable since each artist has mastered them only through strenouos effort, and competition is fierce within a field that can feed few mouths. But telling how you do what you do can be about more than just teaching a technique: it is also a way of sharing one’s journey of discovery, and as any paleoartist knows, many people are utterly unaware of the complex process that ultimately results in the creation of an illustration, a sculpture or an animation of extinct life. For that reason, when I was working in the preparation of the book “Sabertooth”, I felt that the book itself could tell only half the story. The volume does include a brief section about the reconstruction methodology, but there was so much more to tell about that marriage of science and art, sometimes harmonious and sometimes almost violent, that led to that collection of images. 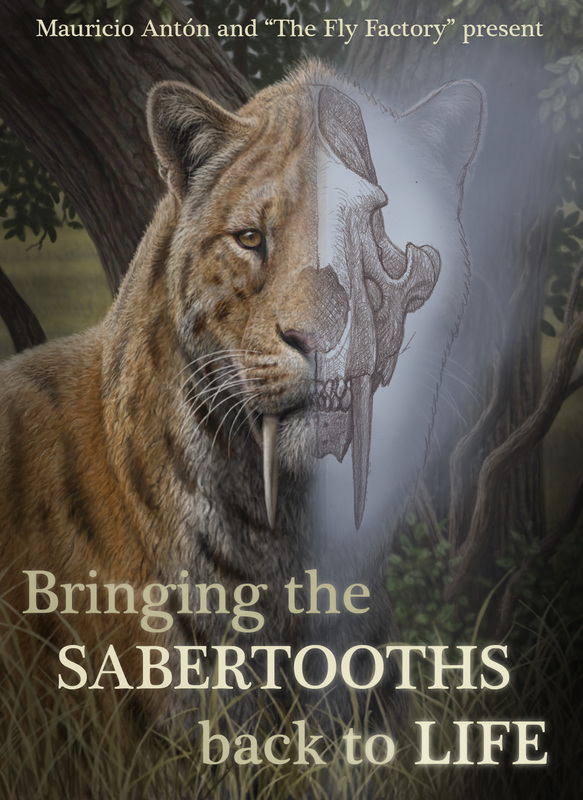 So, for me the book “Sabertooth” and the documentary “Bringing the Sabertooths Back to Life” are like two halves of a single thing. Now finally the film is available for download, and I sincerely hope it will complement the experience of reading the book (or, if you don´t have the book yet, it may encourage you to read it!). And here is the link for the version with subtitles in Spanish. For me, Neanderthals are a little bit like sabertooth cats: an example of a powerful, superbly adapted organism, from which we could learn a lot, but which disappeared from the Earth just a moment too early (geologically speaking). Like the sabertooths, Neanderthals were considered for many years (by both scientists and the general public) like brutish, inferior creatures which almost deserved to become extinct, their place to be taken by faster, cleverer species (modern cats in the case of the sabertooth, modern humans in the case of Neanderthals). But now as we humans get an ever more acute sense of loss in the face of the vanishing natural world, there is a perception that newer is not always better, and also that sometimes there is as much to learn from the loser as there is from the winner. After all, in the long term all species are destined to extinction and thus no one wins forever. My depiction of a Mediterranean Neanderthal with some body ornamentation. 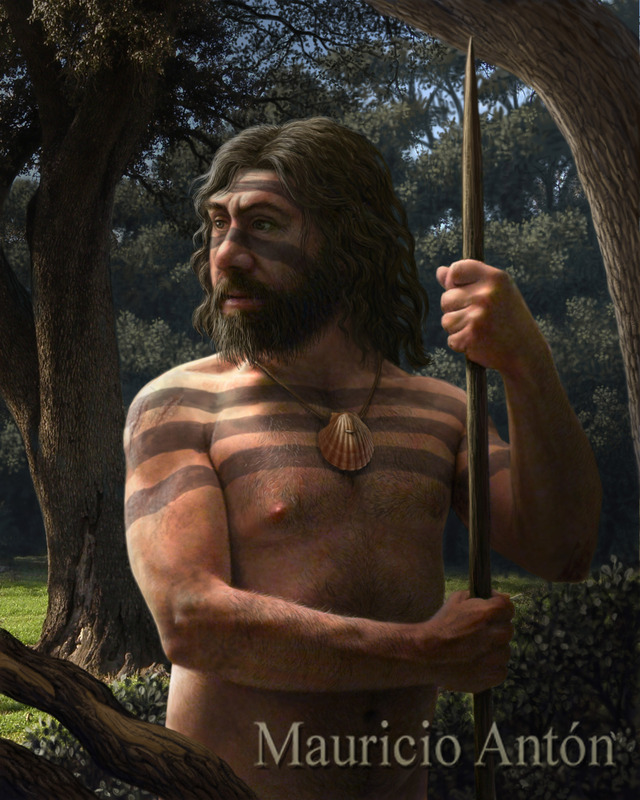 In this portrait of a Neanderthal in his prime, I incorporated information about body ornaments and self decoration which add to a growing perception of previously unsuspected cultural sophistication in these fossil humans. But besides the scientific data, I am aware that there is a subjective aspect to this rendering, an intention to reflect a sense of dignity. But I am not ashamed of that. Regardless of their cultural or technological sophistication, I see each species of extinct hominid as a finished product of evolution, not as a less perfect attempt at humanity. Just as sabertooths were not failed attempts at being a modern cat. Failed attempts, after all, could never become species. Another depiction of Neanderthals. Here I incorporated evidence about how they could have cooked vegetal food for consumption. Gigantopithecus: reconstruction at (or near) its limit! People often ask me, how much imagination do you need to put into your reconstructions? I always answer: “it depends”. It may sound like I am eluding the point, but it is just the plain truth! There is an inverse relationship between the completeness of the fossil record and the amount of imagination you need to put into a reconstruction. For instance, if you are going to reconstruct a woolly mammoth there is so much information available about its anatomy and life appearance (thanks not only to the rich fossil record and the frozen carcasses found at the permafrost, but also to the renderings in paleolithic art) that your imagination has a pretty small role to play regarding the way the animal looked. Of course there is always ample room for your creativity in terms of composition, style etc, but that is a different matter. Near the other extreme of things is Gigantopithecus. These Miocene to Pleistocene apes from Asia are legendary both because of their massive size and becasue of the scarcity of their fossils. All that we have of them is a collection of teeth and mandibles, but the latter are truly massive, and they indicate that members of the Pleistocene species, Gigantopithecus blacki, may have weighted as much as 300 Kg!. Such partial fossils are not nearly enough to allow a confident reconstruction, and yet we are so fascinated by the idea of such a massive ape dwelling in the Asian forests, that we need at least to attempt a depiction! First we reconstruct a hypothetical skull that at least fits the known geometry of the massive mandible. The morphology of Gigantopithecus‘ teeth and jaw has similarities with that of the giant panda, and suggests a diet based on tough, fibrous vegetal matter, such as bamboo, so we show the animals in a forest with plenty of bamboo to satisfy their gargantuan appetite!. We know that the sheer mass of this animal prevented it from spending much time in trees, so we show them on the ground, where most of their activity would take place. Since its teeth and jaws indicate that it was a relative of modern orangutans, we give it some of their external attributes, including a long reddish hair. 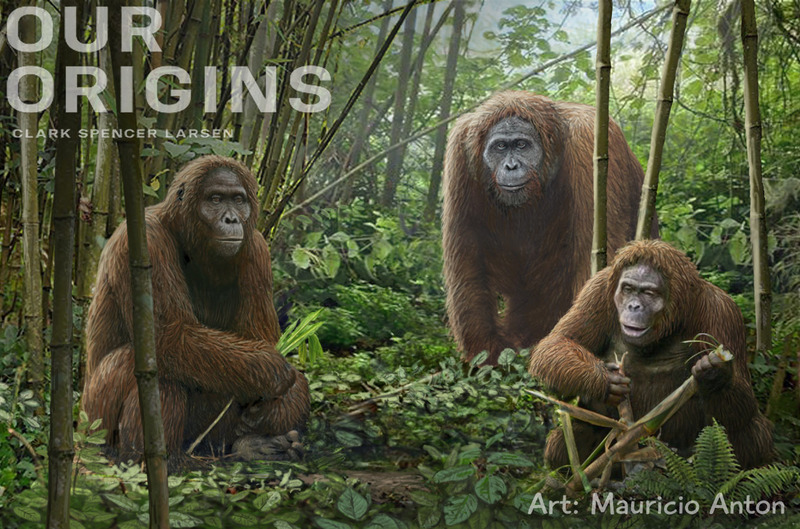 My reconstruction of Gigantopithecus is part of the collection of illustrations I prepared for the 3d edition of “Our Origins”. Check the book for an amazing wealth of information about primate and human evolution! Sometimes the things that you seek come to your encounter in unexpected ways. I have long been obsessed with Africa and its natural heritage. But ever since I first visited Northern Tanzania in 2011 I was especially impressed by the way the distant past and the present combine in that privileged region of the planet. In the very same area you witness amazing spectacles of nature that bring you back to the times when the Pleistocene megafauna reigned supreme; then you come across proud Massai pastoralists whose lifestyle is in many ways true to traditions that have roots in the Neolithic; and then you walk upon the very sediments that have yielded keystone fossils for understanding our evolutionary history. Back then, I tried to explore those relationships with my short film “Evolving Eden: Into Tanzania”. Then about a year ago I was approached by Enrique Baquedano, director of the Museo Arqueológico Regional de Madrid, and Manuel Domínguez Rodrigo, leader of the Spanish excavations in Northern Tanzania, who proposed me to create a collection of illustrations (several of them in very large format) to recreate the life and habitats of our prehistoric relatives in East Africa, with an emphasis on Northern Tanzania. The amount of work to do was daunting, the time limited, and the challenge irresistible. This was an opportunity to update our image about the reality recorded at some of the most classic fossil sites, and to incorporate first-hand information gathered during many strenuous field campaigns. Who could say no? It has been a long journey, and an exhausting one, but now the work is complete. In a few days the exhibition is planned to open at the Museo Arqueológico Regional, and then in the summer it will begin its own journey to different cities and Museums. Eventually it is planned to settle at the National Museum of Tanzania, in Dar es Salaam. In a way that will close a circle for me. But that is a long way ahead. For now, I am at that stage were your finished work looks so pale in comparison with he ideas and concepts you had in your mind… but like any finished artwork, it will have to go on its own journey. We shall see how well it fares, and at any rate it is out of my control now. Rusinga: primate paradise in the African Miocene… and more! Among the new illustrations that I prepared for the 3d edition of “Our Origins” there is a scene showing several primate species that lived in what is now Rusing Island, Kenya, during the early Miocene. Rusinga is a small island at the Northeastern corner of Lake Victoria in Kenya, but some 17 million years ago the area corresponded to an alluvial floodplain. The vegetation was rather open in the plains, but there were dense gallery woods along the water margins. That combination of environments provided excellent habitat for many species of primates, including 2 species of the genus Proconsul, as well as Dendropithecus and Limnopithecus. 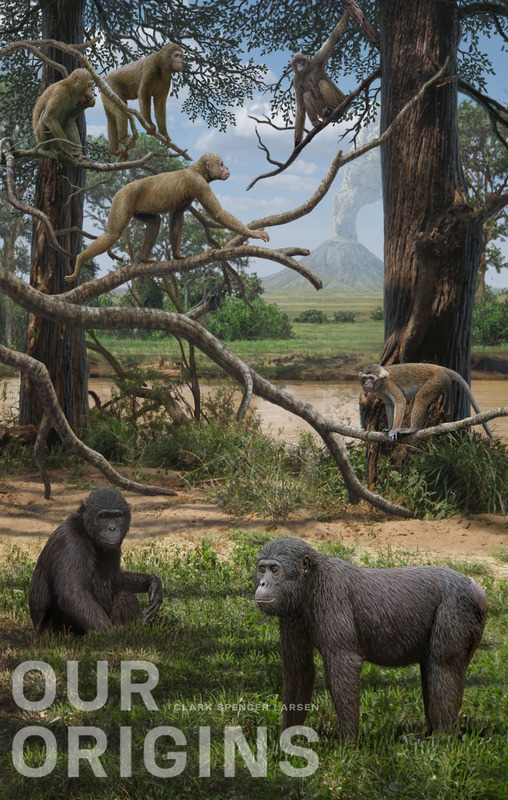 Here is the Rusinga scene with the various early Miocene primates, including Proconsul nyanzae (foreground), Proconsul africanus (top left), Dendropithecus (top right), and Limnopithecus (center right). Were there sabertooths in Rusinga to trouble the lives of our early relatives? There were indeed, although they were not as impressive as one might expect. Afrosmilus was an early member of the family Barbourofelidae, but with the approximate size of a lynx, it was much smaller than its later relatives from the late Miocene of Eurasia and North america, such as Barbourofelis. Also, its canines were only slightly enlarged, but often it is in such modest animals that the potential for future specialization is to be found. So, this sabertooth was hardly the dominat predator in the Rusinga environment. That privilege did not even correspond to a member of the order Carnivora, but rather to a creodont, a survivor of an ancient lineage of predatory mammals which flourished in the early part of the Tertiary, and by the Miocene were extinct in most of their former range. But in Africa they not only survived, but they reached truly enormous size. Hyainailouros, the giant creodont from Rusinga, would have weighted as much as a modern lion, but like other members of the family Hyaenodontidae (the “dog-like creodonts”) it had a disproportionately large skull for its body size. This means that the jaws of this beast, armed with teeth suited for tearing meat and crushing bone, could easily turn a limb apart from a human like you or me with a single devastating bite. 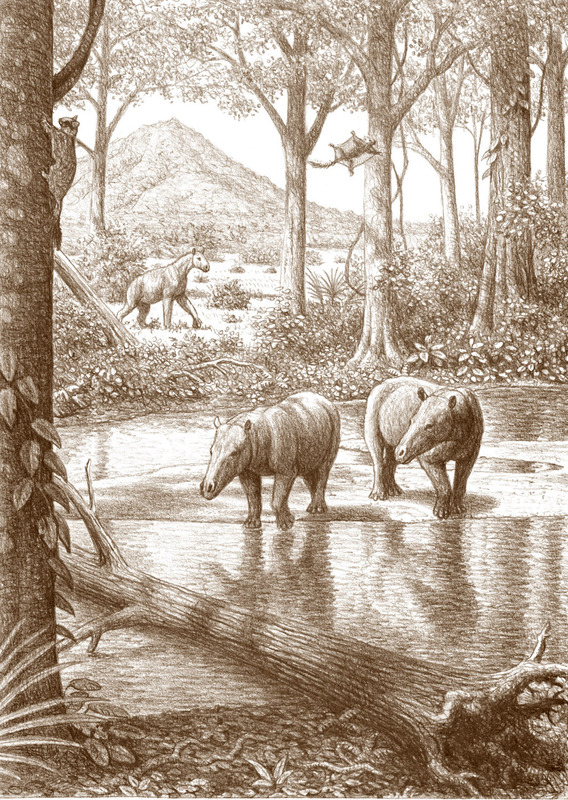 Meet Hyainailouros, the giant creodont from Rusinga.